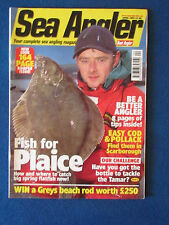 Sea Angler - Fishing Magazine - March 2002 - Minor signs of age, but overall good condition. 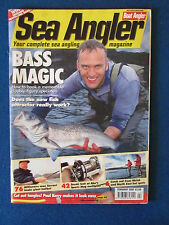 Sea Angler - Fishing Magazine - May 2002 - Minor signs of age, but overall good condition. 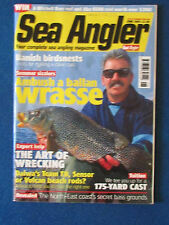 Sea Angler - Fishing Magazine - June 2002 - Minor signs of age, but overall good condition. 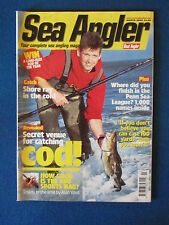 Sea Angler - Fishing Magazine - April 2002 - Minor signs of age, but overall good condition. 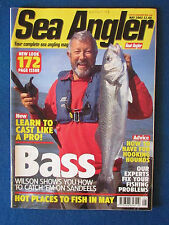 Sea Angler - Fishing Magazine - February 2002 - Minor signs of age, but overall good condition. Final edition of the last century and millennium. 296mm x 210mm. 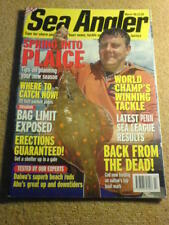 Weight 349g. 296mm x 210mm. First edition of the new century and millennium. 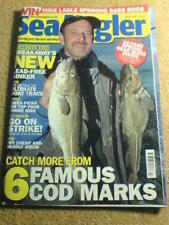 164 pages 8 page "Sea Fishing in Ireland" in the middle.